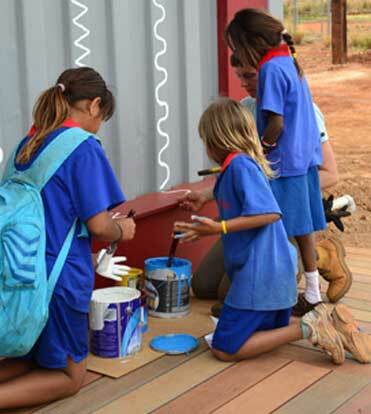 In 2011, the Bower Studio moved west, to Wakathuni in the Pilbara region 400km south of Port Hedland in Western Australia. 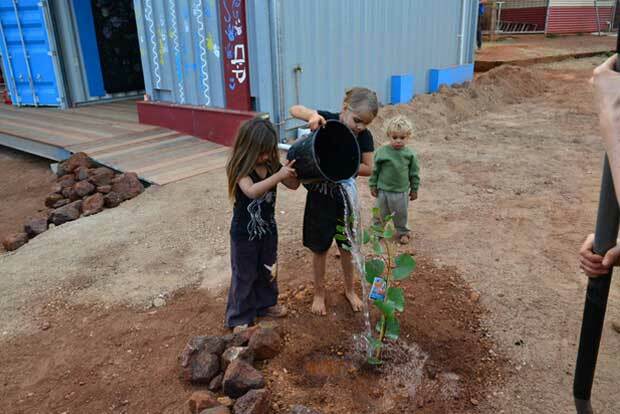 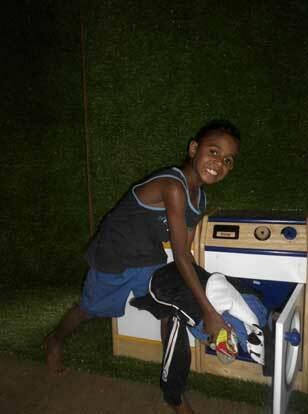 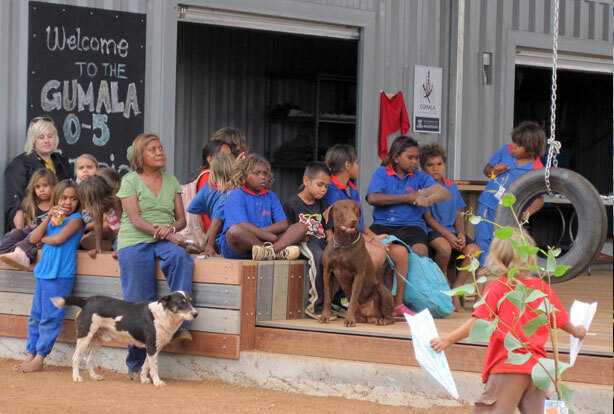 After hearing of the studio’s success with communities in the Northern Territory, Gumala Aboriginal Corporation, the body representing three communities in the Pilbara region, contacted the University of Melbourne to develop and deliver an Early Childhood Learning Centre to meet the developmental needs of their growing pre-school population. 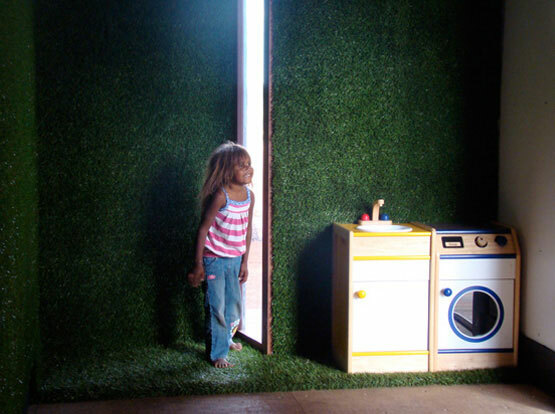 For the largest and most complex project to date, the Bower Studio teamed up with Professor Collette Tayler and members of the Graduate School of Education at the University of Melbourne to develop a project which delivers both training in the principles and delivery of Abecedarian pedagogy to local teachers and a new custom designed facility to accommodate the program. 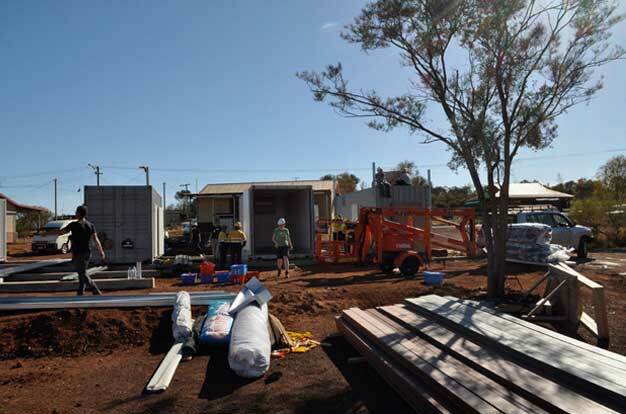 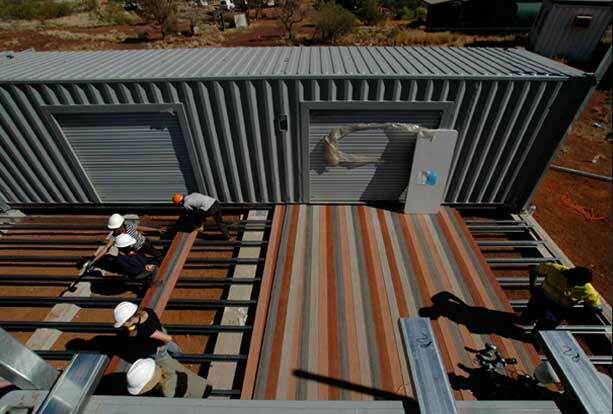 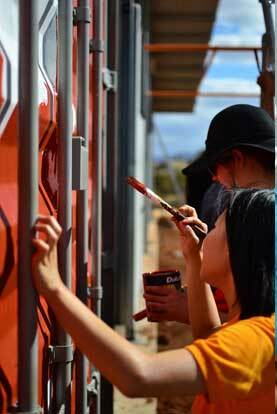 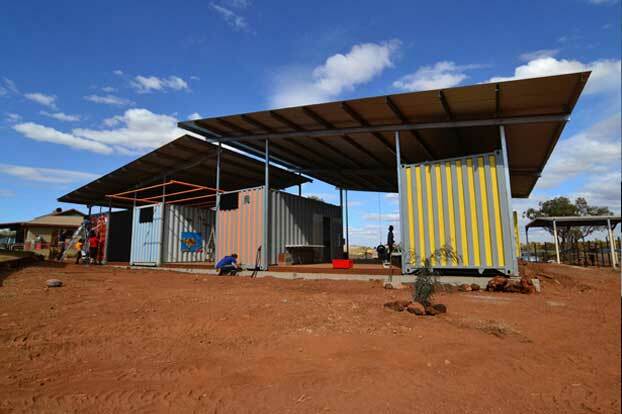 Given Wakathuni’s remote location deep in the Pilbara all equipment and materials required for the build were nominated in advance, prefabricated where possible and delivered to site in a shipping container fitted out by the students as part of their construction training. 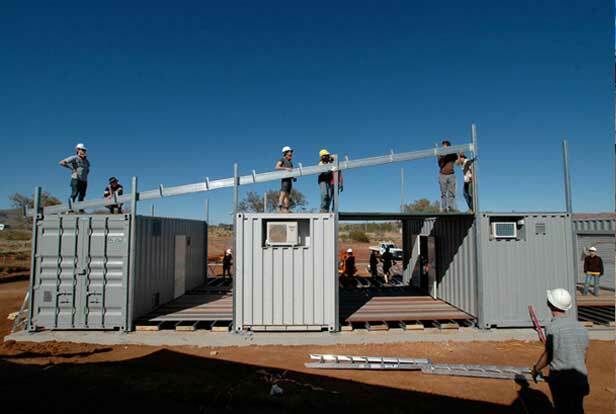 This container was later joined by three others, prefabricated and delivered from Perth, to become the basis of the facility. 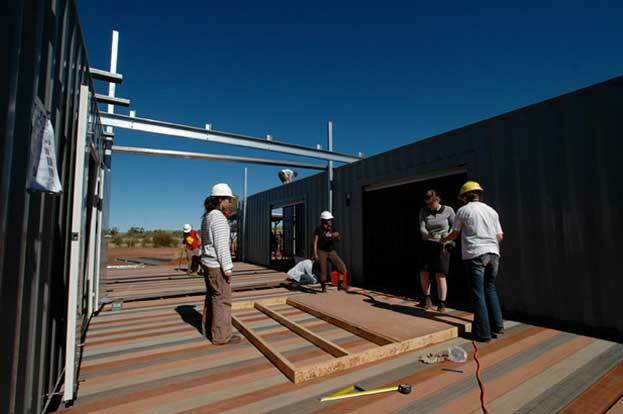 As part of the pre-build training, the students prefabricated a number of elements and items including custom window framing and joinery in the workshop, gaining important construction skills and learning to resolve construction issues with what resources were at hand. 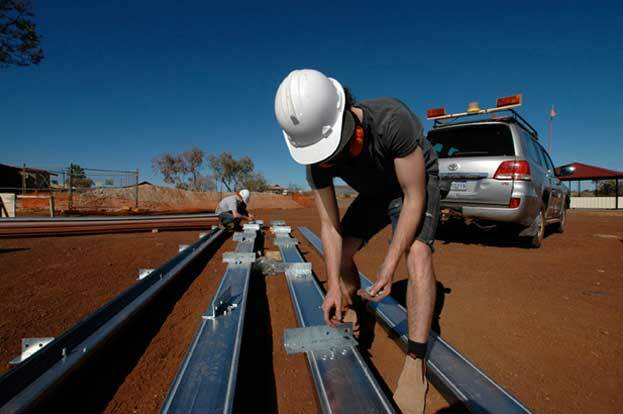 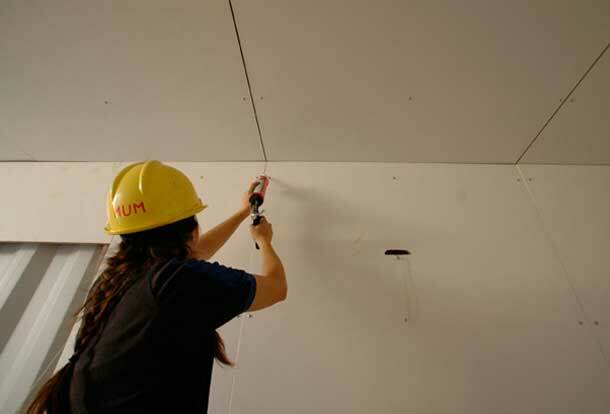 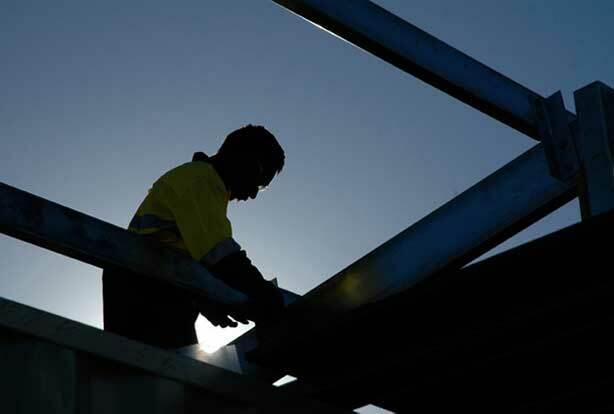 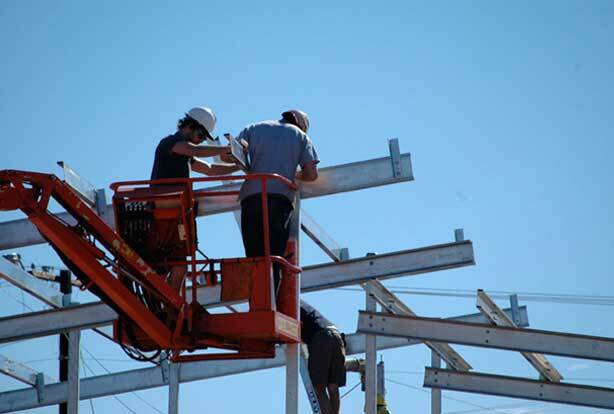 As with previous studio groups the students attended the University’s Creswick Campus to complete a test build, incorporating many of the skills and tasks they would encounter in Wakathuni. 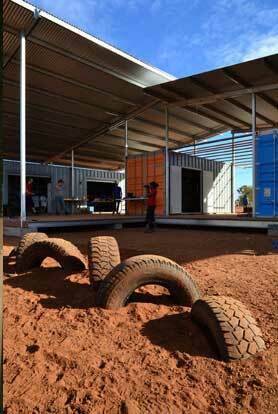 As the project was larger in scope and more complex than any previously delivered by Bower Studio, a satellite team including staff members, Grant Divall and James Neil, and local community members, Leroy Cooke and James Whalebone, arrived on site early and prepared it for the arrival of the students by pouring footings and positioning the shipping containers. 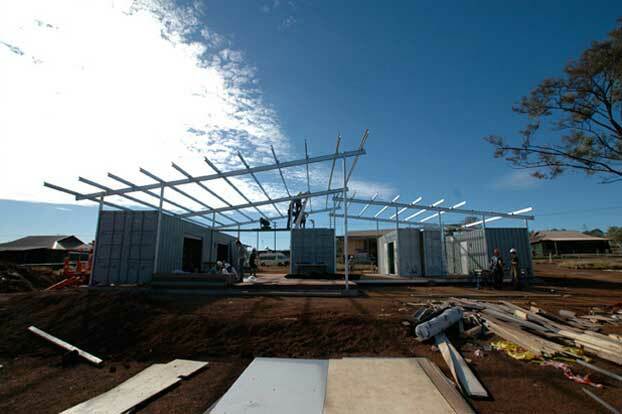 Once on site, it was 10 days of intense building. 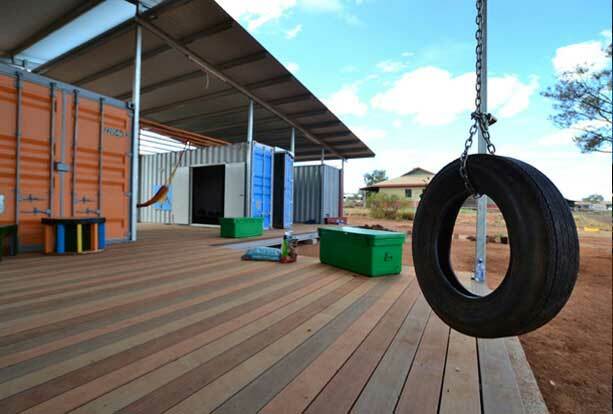 Coordinating 16 students, members of the community and other trade specialists proved to be a big task, however many hands worked in unison to form the large deck areas, construct and sheet the enormous roof, install doors and the custom made window, paint the containers, design and implement landscaping, hang the swings and hammock, and of course, complete the fit-out of the interior learning spaces. 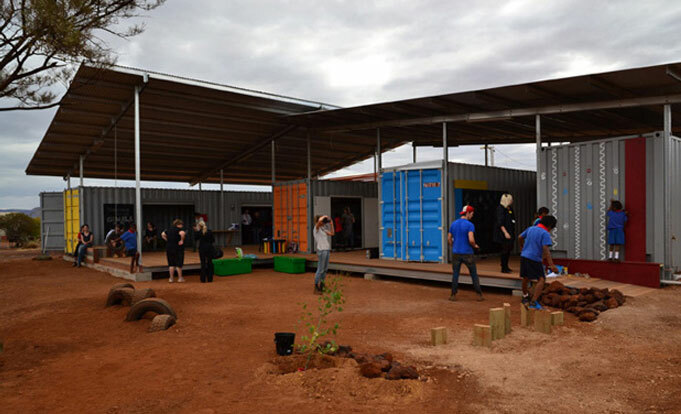 Once the keys were handed over at the official opening, the students headed back to Melbourne armed with their experience in construction and in working with the Indigenous community to prepare a series of designs for prefabricated housing. 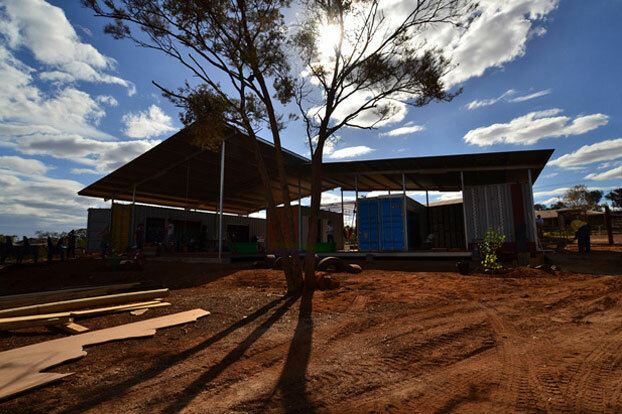 This design exercise interrogated strategies to advance the successful delivery model established by Bower Studio and adapt it to a sustainable Indigenous housing framework. 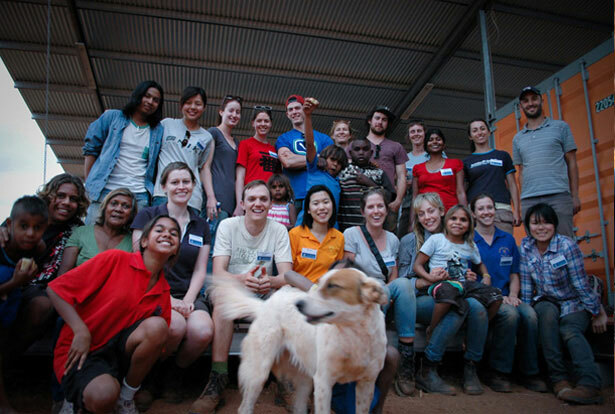 Bower Studio thanks the people of Wakathuni for welcoming the team into their community.